While Democrats ran strong up and down the ticket, Chris Sununu ran stronger where he needed to. His margin of victory swelled beyond what it was in 2016. But when he took the stage at his victory party, the Governor was quick to spread the credit. For Sununu, a key result was carrying Manchester, where Democrats try to build margins. He also ran close to even with Kelly in Nashua, another bellwether city. Concord, Keene, Portsmouth and Dover - all rich in Democratic votes - were where Kelly ran strongest. 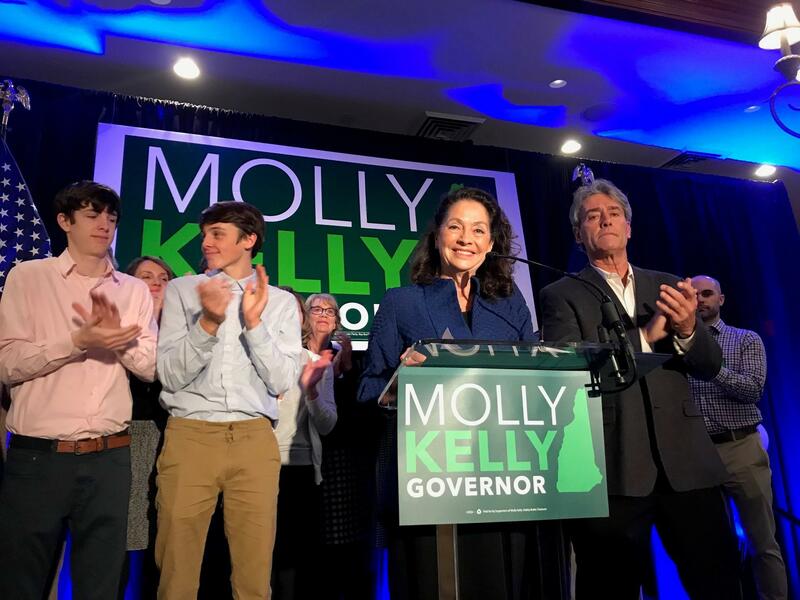 And while the planks of Kelly’s platform – a pledge to veto an income or sales tax and an emphasis on abortion rights – have been core messages for Democrats running for Governor for years, Kelly told supporters it was something new in our politics that prompted her run. While anti-Trump messaging boosted Democratic turnout statewide, at least some of those voters likely voted for Sununu. For GOP loyalists like Nancy Kindler who lives in Epping, that outcome was a very mixed blessing. Also up in the air is how and on what issues will Sununu work with Democrats. During his first term, they found common cause around full-day kindergarten. But Democrats also helped kill Sununu-backed policies like right-to-work and school vouchers. With Democrats running the legislative branch, Sununu will have to pick his spots, something Sununu seemed to acknowledge. That's easy to say on election night, but harder to do when lawmakers return to Concord.